Imagine a rewarding career in the fitness industry which gives you a new dream lifestyle! 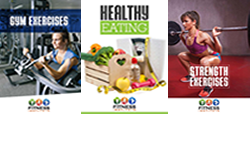 Fitness Institute offers the full Certificate 3 & 4 in Fitness online, Australia Wide! This highly sought-after qualification entitles you to become a Personal Trainer, Gym Supervisor and Group Fitness Instructor! The SIS30315 – Certificate III in Fitness and SIS40215 – Certificate IV in Fitness contains the most up to date industry information, techniques and industry trends. Studying online gives you the flexibility to control how and when you learn and train. Learning materials include presentations by Physiotherapists, Dietitians, Sports Doctors and Chiropractors. You will learn how to establish amazing networks with allied health professionals and be inspired by Personal Trainers, Group Fitness Instructors, Yoga Instructors, Gym Owners and Strength & Conditioning Coaches who are already living the dream. Our highly experienced Assessors will give you feedback and support to help you reach your goal of becoming a Fully Qualified and Registered Fitness Professional. You can also complete practical components with your choice of qualified mentor/s – enabling you to obtain real-world experience from those you trust and respect. We would like to send you a FREE Information Pack. Please provide your postal address if you would like to receive additional information. 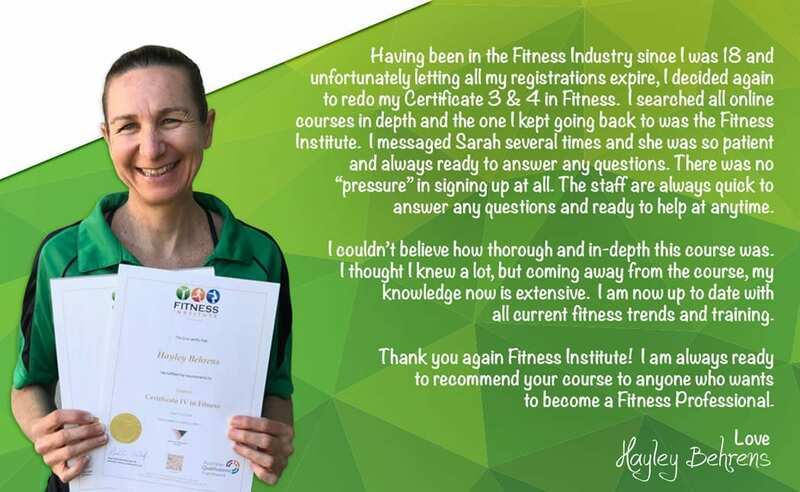 On completion of the Certificate III & IV in Fitness, you will be able to register with Fitness Australia as a fully qualified Exercise Professional (Gym Instructor, Group Fitness Instructor, Personal Trainer, Older Adult Trainer, Children’s Trainer). This will then enable you to become a Personal Trainer, not just in Australia, but internationally with the portability of the International Confederation of Registers for Exercise Professionals (ICREPS). Some of our graduates have gone on to teach in Belgium, Canada, Ireland, New Zealand, South Africa, Poland, United Arab Emirates, United Kingdom and USA!